It is the last day of 2012. Many events happened for the year. For us at BigDogDotCom, it has been a very good and memorable year indeed. Our article on the ‘Ghost of Johor’ drew a lot of attention. It started a series of articles written by other bloggers about Johor and drew even more attention, which many talked about. Enough to be asked to ‘come for dinner‘. Then, we were also reunited with an old blogging brother. It was nice to meet up with Raja Petra our common Malaysian favourite in the heart of West End. 2012 had some of our proudest moments. 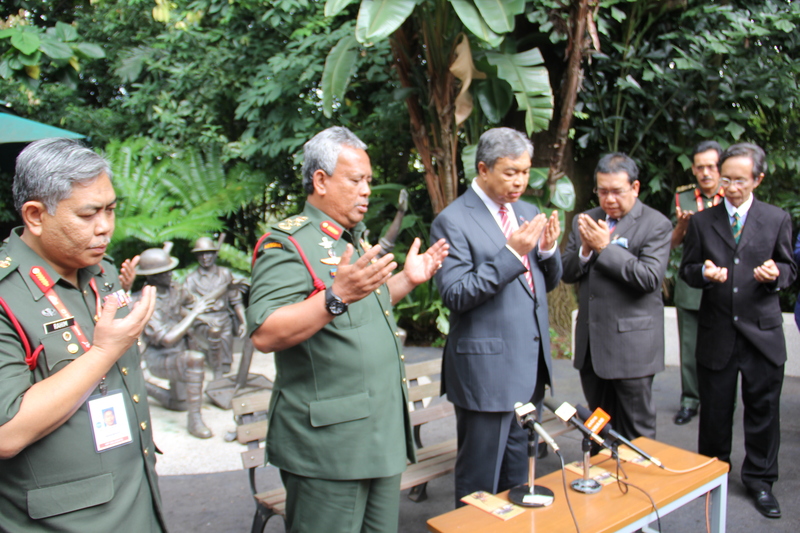 We witnessed for the first time the Malaysian Defense Minister officially paid homage on the Remembrance Day of the 70th anniversary, to the gallant heroes of 1st Federated Malay Regiment who gave the ultimate sacrifice on the defense of Pasir Panjang Ridge at Point 226, Bukit Chandu on 14 Feb 1942. We also saw how Fourth Prime Minister Tun Dr. Mahathir Mohamad gave a small group of sixteen year olds an interview. Another proud moment was the official delivery of Malaysia Airlines’ first A380-800 at Airbus Faciliy, Balgnac Airport, Toulouse, Southwest France. We were invited to fly back the aircraft 9M-MNA to Kuala Lumpur on 28 June 2012. Two days later, we witnessed the inaugural A380 service MH 002 flight to London Heathrow. It was also the 38th anniversary of MH’s service to the most favourite international destination. Our criticism on highlighting Sime Darby’s selected employee reward scheme also drew a lot of attention. Naturally, we were targets from the Sime Darby executives’ flak. It was said even by Prime Minister Dato’ Sri Mohd. Najib Tun Razak raised the subject matter. We were part of special media outing with Royal Malaysian Air Force at TUDM Kuantan Air Base and Royal Malaysian Navy at TLDM Telok Sepanggar Naval Base, near Kota Kinabalu. We were some of the privileged few civilians who have been in both RMN Perdana Class submarine. We also witnessed the 40th celebrations of Malaysia Airlines and the unveiling of the B737-800 9M-MXA in the original Malaysian Airline System livery, as part of the year long celebrations. Thank you very much, 2012. It would stay as our most memorable year. Maghrib hari ini 49 tahun lampau disebuah pos keselamatan sementara bertempat dalam sebuah ladang kelapa sawit di Kalabakan, Tawau, Sabah, C Kompeni dari Battalion ketiga Rejimen Askar Melayu DiRaja bawah Pegawai Memerintah Mej. Zainal Abidin Yaacob telah diserang semasa menunaikan sembahyang jemaah. Serangan itu dilakukan oleh ‘sukarelawan’ Tentera Kalimantan, yang dipercayai meyeberang dari sempadan Indonesia. Pertempuran sengit berlaku dan C Kompeni berjaya bertahan tanpa berundur. Walaubagaimanapun, 7 orang perwira Askar Melayu termasuk Pegawai Memerintah Mej. Zainal Abidin telah gugur manakala 16 lain cedera. Serangan ‘tidak rasmi oleh sukarelawan’ seperti ini amat kerap diperbatasan yang bersempadan dengan Indonesia seperti Johor, Sarawak dan Sabah apabila Sabah, Sarawak dan Singapura menyertai Persekutuan Tanah Melayu dan membentuk Persekutuan Malaysia pada 16 September 1963. Sebagai reaksi, Presiden Indonesia ketika itu Sukarno melancarkan ‘peperangan tidak rasmi’ atau Konfrontasi dengan Malaysia dengan cogankata ‘Ganyang Malaysia‘. Tentera tentera Indonesia yang tidak beruniform dan disifatkan sebagai ‘sukarelawan’ menyeludup masuk lengkap bersenjata kedalam sempadan Malaysia untuk melakukan serangan gerila. Peristiwa Kalabakan menjadi bukti kommitmen orang Melayu Semenanjung melalui Rejimen Askar Melayu DiRaja yang bersumpah taat setia kepada Seri Paduka Baginda Yang DiPertuan Agong dan sekelian Raja Raja bersedia untuk berkorban demi mempertahankan sempadan dan kedaulatan negara tidak dicerobohi. Ini juga bukti bahawa kebebasan Sabah dan seluruh warga Sabah dibawah Perlembagaan Pesekutuan akan dipelihara dan pertahankan dalam apa keadaan sekali pun. In the effort of becoming a populist especially to the perception of the younger Malaysians, UMNO Youth Head YB Tuan Hj Khairy Jamaluddin criticised Malaysian Communication and Multimedia Commission’s (MCMC) decision to limit the subsidy scheme for the smart phones’ rebate. Umno Youth today weighed into the Malaysian Communications and Multimedia Commission’s (MCMC) move to limit the RM200 rebate for smartphones priced below RM500, describing it as unnecessary. “It is not needed to have a price cap for the smartphone rebate,” said Umno Youth chief Khairy Jamaluddin in a Twitter posting to Information, Communications, and Culture Minister Rais Yatim. However, Khairy (left) sought to parry criticism against the government prompted by the cap, pointing out that there was no mention of the smartphones prices that would be entitled to the rebate when first announced. The Budget 2013 speech only mentioned the youths’ income that would qualify for the smartphone rebate, not the price of the smartphones, he said. Echoing similar sentiments is Bumiputera Agenda Steering Unit (Teraju) senior officer Norizan Sharif. “If want to give a RM200 rebate, then just give it to all smartphones. 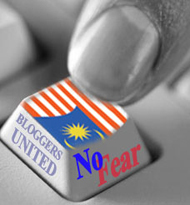 The RM500 limit will only make people angry,” he said in his Twitter posting. He added that if there had been a plan for such a ceiling, it should have been revealed from the beginning. “People feel cheated. That was not the spirit of Budget 2013. That is why people are angry,” he said in another posting. Netizens though have not taken kindly to the surprise cap, mocking the rule on Twitter. The MCMC had yesterday had defended the move, stating that those who could afford smartphones worth more than RM500 were not in the intended category for the rebate. The commission had since announced a list of 23 smartphones worth under RM500 entitled to the rebate. Under the scheme, dubbed ‘Youth Communications Package’, RM300 million is allocated for the rebate on a first-come-first-served basis which can cater to 1.5 million eligible youths with an income of less than RM3,000 before the fund is depleted. According to MCMC, outlets participating in the scheme will carry the “Pakej Komunikasi Belia” logo. Cyberjaya: 27 December, 2012 — Youths aged 21 to 30 will be able to start applying for the RM200 rebate off selected 3G smartphones from celco nominated registered dealers. Applications for the Youth Communication Package (YCP) (or Pakej Komunikasi Belia (PKB)), under the National Broadband Initiative; can be made by registering online at http://nbi.skmm.gov.my/ starting from 1 January 2013. The scheme is on a first-come-first served basis and will be for the first 1.5 million eligible youths who may claim their smartphones while stocks last. Whilst the Youth Communication Package is a scheme implemented by the celcos, this initiative, coordinated by the Malaysian Communications and Multimedia Commission (MCMC), was announced by the Prime Minister as part of Budget 2013 tabled in September this year to encourage more youths especially those in rural areas to enjoy the nation’s broadband facilities. Youths who qualify for the RM200 rebate will be able to purchase ‘selected’ 3G smartphones costing up to RM500 from selected dealers and agents appointed by service providers. With the rebate, they are expected to pay no more than RM300 to own a new 3G smartphone. “The idea is to spread the incentive across to those who do not yet use smartphones. We really want to help those who cannot afford to change phones to upgrade from their old 2G phones to a basic 3G smartphone. Those who can afford phones priced above RM500 are really not in the intended category or target market. Some of those phones can reach prices of over RM2,500 without contract. A RM200 rebate does not even make a dent but if the phone is priced at RM500, a RM200 rebate goes a long way. Again, the target is the lower income group and the youths,” said MCMC Chairman, Dato’ Mohamed Sharil Tarmizi, in refuting speculations that the RM500 price limit was low. The participating celcos and mobile virtual network operator (MVNOs) will offer no less than five (5) and perhaps up to 10 or 12 models under the initiative via their dealership outlets. Members of the public should look out for the “Pakej Komunikasi Belia” logo that will be displayed on banners and buntings at these outlets. They should also check websites of the service providers for the list of smartphones and participating dealership outlets. Meanwhile, owners of small online businesses between the ages of 18 and 65 will be able to start applying for the Get Malaysian Business Online (GMBO) RM1,000 grant starting on 1 January 2013 also by registering online at http://nbi.skmm.gov.my/. Small online business entrepreneurs who have registered websites for example, .com.my, .my, and fulfilled all the terms and conditions, will receive RM1,000 grant from MCMC. The money will be credited directly into the successful applicants’ local bank account. It is expected that up to a maximum of 50,000 eligible entrepreneurs of small online businesses will apply for the grant. For more details on these two programmes, Frequently Asked Questions (FAQ) are posted online in the MCMC website. 2) The brand, model and quantity offered may differ amongst different Service Providers. The common sense to limit the subsidy for 3G smartphone is simple; it would provide more spread for Malaysian youths to afford the 3G phones. Not many Malaysian youths in that age are able to afford 3G smartphones which have the current retail price of more than RM 1,000.00. Probably to those who are employed in good paying jobs but how about the majority of those who are still in their rural socio economy structure. The list is rather comprehensive for more Malaysian Youths are being provided with the opportunity to be connected into the world from wherever they are, through 3G connections. With a RM 200.00 subsidy for a RM 500.00 3G smartphone, more youths are accessible to the net RM 300.00 phone affordability band. There is the universal argument for persons who can afford should not received any subsidies. Hence, rebates or subsidies should not be offered to youths from better background or affluent communities, who can afford the more expensive upmarket 3G smartphones such as Samsung Galaxy Notes II, S III or iPhone 5. So, actually by setting the lower price of RM500, the market is being forced to reduce the price of all more expensive smartphones. It also means the vendors are not able to pocket more for themselves. Government subsidies are not designed for them but the benefit of the bigger majority. The irony of that would be, they get to make more money from the more expensive smartphones and there is no certainty they have not overpriced the models or padded the cost of the phones. The fact is that the poorer masses who don’t have access to 3G connectivity, who currently don’t tweet, don’t Facebook or actively not on any other social media networks for the reason that they have no smartphones, will never join the haves and will remain have nots. Based on MCMC Handphone Users Survey, about 89% of Malaysia market is prepaid. They are the income group of below RM 5,000.00 per month. It is expected that majority of Malaysian youths are within this group. Khairy should lead UMNO Youth to be more productive in making the Malaysian Youths understand the rationale of Federal Government subsidies, especially tailored for this group, instead of making populist statements. Pandering as the populist’s tone and connotation just propagated the fact that he is more interested to be a politician rather than serving the bigger agenda, to move the Malaysian Youths forward. Probably, UMNO Youth should be working towards making more smartphone contents for the Malaysian Youths. This is an opportunity for Khairy to get successful programs initiated and generated BN Youth such as the BN Youth Career Fairs and BN Youth Volunteers to have their own dedicated Apps for the growing 3G users amongst the Malaysian Youths. Moreover, BN Youth Cyber Team already gaining grounds in their cybersphere engagements. If Khairy still interested to play his populist role, then he should use UMNO Youth to pressure the Minister of Information, Culture and Communication Dato’ Seri Utama Dr Rais Yatim Ph.D to demand better and uninterrupted services from the cellular communication (Celco) and high speed broadband (HSBB) providers. This will augment the Malaysian Youths’ connectivity into the world via cyberpshere. The division of unholy-marriage-of-(in)convenience-between-estranged-backstabbing-bedfellows un-registered political pact is getting crystal clear. PAS and DAP are on opposing ends on very fundamental issues for the domain that they are representing and/or struggling for. KUALA LUMPUR, Dec 26 — In a fresh debate over the word “Allah”, PAS says that Christians should not use it to describe their god in the Bible, while its political ally DAP insists that Christians in East Malaysia should be allowed to use the Arabic word. PAS information chief Tuan Ibrahim Tuan Man said today the use of the word “Allah” in the Alkitab, the Malay-language translation of the Bible, would not reflect the original text’s meaning. “PAS’ stand is that the Bahasa Melayu Bible should replace the ‘God’ term with ‘Tuhan’ and not ‘Allah’ to mirror the actual meaning of the original text,” he said in a press statement. Tuan Ibrahim said both Christians and Muslims could be confused when the word “Allah” is used in the Alkitab. “Since the Bahasa Melayu Bible is a translation from the original English text, the term ‘God’ does not mean ‘Allah’, because the accurate translation is ‘Tuhan’. It should be translated according to original meaning. Translating ‘God’ to ‘Allah’ will confuse Christians and create unease among the Muslims and can confuse Muslims,” he said. He said “Allah” was a sacred name for the Muslims and should be used appropriately. “In relation to that, (the) request to use Allah’s name in the Bahasa Melayu translation of the Bible is not wajar (suitable), even the society in the West, they don’t use Allah’s name to refer to God whether in speech, writing of films. The word that is often used is ‘Lord’,” said Tuan Ibrahim, who is also Pahang PAS commissioner. On Monday, DAP secretary-general Lim Guan Eng had raised the controversial “Allah” issue in his Christmas message. “For this reason, DAP urges the BN Federal government to allow the use of the word ‘Allah’ on the Bahasa Malaysia version of the Bible as has been allowed in Sabah and Sarawak for the last 50 years and practised in the Middle East for more than a thousand years,” Lim wrote in a statement on December 24 in English and Mandarin. Zairil Khir Johari, DAP’s assistant publicity secretary, said today that Lim’s words have been “twisted”, saying that the Penang chief minister had only asked Putrajaya not to deny the rights of Christians in East Malaysia to use the word “Allah”. According to Zairil, several news reports had falsely accused Lim of urging the federal government to allow Christians in Peninsula Malaysia to use the word “Allah” in the Alkitab. “Furthermore, the Bahasa Malaysia version of the Bible can only be found in Sabah and Sarawak and not in Peninsula Malaysia. “Therefore, the issue of usage of the word “Allah” in Peninsula Malaysia does not arise at all,” Zairil said. Zairil pointed out that the word “Allah” was commonly used by Christians in neighbouring Indonesia and has been used for decades by the Bumiputera Christians in East Malaysia that converse in the Malay language. In recent years, the Christian and Muslim religious communities have been engaged in a tug-of-war over the word “Allah”, with the latter group arguing that its use should be exclusive to them on the grounds that Islam is monotheistic and the word “Allah” denotes the Muslim god. A legal tussle over the use of the word “Allah” remains unresolved, with the Catholic Church still barred from publishing the word in its weekly newspaper, despite winning a High Court decision on December 31, 2009. This is due to the Home Ministry filing an appeal in 2010 against the High Court’s decision, which have since stagnated in the courts as no date has been set for its hearing. Last year, shipments of the Alkitab, the Malay-language Bible catering to the Bahasa Malaysia-speaking Bumiputera Christians, were blocked or confiscated at ports, before the government finally bowed to pressure and released them. PAS is trying not to be too loud on their opposition for the ‘Kalimah Allah’ issue. Their grassroots and particularly the majority which are unanimous for the Majlis Syura’s stance on the subject matter, are hopping-mad not tolerating PAS’s position on the matter. The spat between then PAS Selangor Commissioner Dr Hassan Md Ali against DAP’s Kongsi Godfather Ronnie Liu on the ‘sale of beer’ in Selangor two and half years ago is very clear. Again, the two Excos plus DAP Empress Dowager of Selangor Teresa Kok were on combative mode, on the JAIS anti-protelysation raid at Damansara Utama Methodist Church on 3 August 2011. Then there is the Hudud issue. PAS Central Committee had to bring back the subject into PAS’s mainstream ‘struggle’ to portray their relevance on issues which are closest to the hearts of the Malay majority in the hinterland, PAS’s mainstay of power. And the more recent, the ‘khalwat’ and ‘unisex saloon’ cases in Kelantan, which irked the hell out of the Non Malays, especially the Chinese. This is not withstanding that DAP would not ever accept PAS leading the Premiership in the event of Pakatan Rakyat’s ability to have simple majority in the Dewan Rakyat. PAS grassroots expressed their desire to have their President Dato’ Hj Hadi Awang as Prime Minister in the recently concluded PAS’s Muktammar, held in Kelantan. It is obvious even though PAS and DAP needed each other’s niche political support during the general elections, they cannot possibly worked together for the betterment of the rakyat and nation. They have opposing aspirations, ideology, wants, needs and most of all, on their methods of resolving issues. These unresolved issues and controversies between the two parties are real and ‘clear and present danger’. Neither willing to compromise. Compromise translate to PAS would lose their ‘Islamic’ elements and characteristics and DAP shedding the anti-Malay/Islam and Chinese Chauvinist agenda and characteristics. In essence and practical sense, both of them have been trying their best to lie and put up a fake front of working together. They say the proof of the pudding is in the eating. The Tenang DUN by-election in February 2011 is a proof that DAP did not even try to bring out the Chinese votes for PAS’s candidate. It is clear Johor DAP would not work for PAS. They do nott and never willing to understand each other. They cannot tolerate each other. Far from able to accept and accommodate each other. Their deep and practical distrust of each other would never bring progress for Malaysia in any sense. And that is an undeniable fact. Glad tidings and season greetings. Merry Christmas, all. If one is on the road during the duration of this extended long weekend/holiday/end-of-year season, please be extra careful. The frequent really wet weather and the pressure to catch-upon-time-lost after extraordinary lengthy and psychotic bumper-to-bumper jams have been hazardous to motorists, especially in the massive number of vehicles on the major interstate roads and highways. Dalam keghairahan untuk menyambut dan merayakan tetamu, samada pelancong, pelabur atau masyarakat peniaga, kita tidak wajar untuk menengahkan apa yang penting dan dekat bagi orang lain, terutama budaya dan medium kommunikasi, demi mencapai matlamat yang dihajat. Papantanda utama untuk menyambut pengunjung memasuki kawasan pembangunan riadah mewah Puteri Harbour, Iskandar Malaysia ini ditulis dalam Bahasa Mandarin selain Bahasa Melayu (bahasa rasmi negara) dan Bahasa Inggeris. Mengapa hanya tulisan Bahasa Mandarin tertera dalam papantanda itu berbanding tulisan dalam bahasa lain utama dunia seperti Arab, Jepun, Korea, Siam, HIndi dan Russia dimana majoriti masyarakat Malaysia belum boleh menguasai, masih tidak jelas. Pengamat kasar setakat ini menunjukan tidak ramai daripada pengunjung ke Puteri Harbour, termasuk tarikan terbaru seperti Traders Hotel. Hello Kitty Theme Park dan Lat’s Place terdiri dari mereka yang hanya boleh faham tulisan Pinyin. Puteri Harbour ialah pembangunan riadah dan santai mewah yang dibangunkan oleh Khazanah Holdings Bhd, melalui UEM Land Bhd. Ianya merupakan pembangunan bersebelahan dengan Kota Iskandar, pusat pentadbiran Kerajaan Negeri Johor yang baru. Selain dari hotel, pusat perdagangan, marina dan kawasan riadah termasuk theme park, pembangunan kondo mewah juga dirancang. Samada keputusan meletakkan papantanda ini dalam keadaan ini adalah secara sengaja atau cuai, ianya memberikan persepsi yang mendalam. Ini kerana Johor merupakan ‘Simpanan Tetap’ BN dalam mana mana PRU dan lewat ini, kerusi Gelang Patah disifatkan sebagai ‘kelabu’ oleh penganalisa politik. Apa pun, ianya tidak memberikan persepsi yang baik kepada Kerajaan Negeri Johor dan Khazanah, sebagai agensi pelaburan utama Kerajaan Persekutuan. Johor Bahru is in the process of physical transformation. And the hottest property man in play, Tan Sri Lim Kang Hoo, came out to tell the game plan. Connection to the past: Johor Baru’s old bridge. TAN Sri Lim Kang Hoo was beaming with excitement to show off his grand plan for the makeover of Johor Baru when StarBizWeek met him for an interview recently. He had just got the plans approved for the makeover of the central business district (CBD) and the eastern side of the tip of Johor Baru (JB). The makeover of the CDB will change the face of several streets such as Jalan Wong Ah Fook, Jalan Segget, Jalan Ibrahim, and Jalan Meldrum which now house buildings that have been abandoned for a long time. In his opinion, and that of others, JB has not recovered from the property glut after the 1997 Asian economic crisis. On the eastern side or the Tebrau coast, he wants to create a lifestyle haven similar to that of the Gold Coast in Australia. He is hoping to attract expatriates who are going to work at the oil and gas hub that is taking shape in Pengerang to reside at the Tebrau coast. Combined with the Danga Bay development which is located at the western side of the southern tip of JB, he has over 1,619ha that will be developed into an waterfront city fronting Singapore over several years. The land is parked under Iskandar Waterfront Holdings Sdn Bhd (IWH), which is the master developer of parts of JB city. He owns 60% of IWH via Credence Resources Sdn Bhd and his partner in this venture is the Johore state government via Kumpulan Prasarana Rakyat Johor (KPRJ), which holds the remaining 40% stake in IWH. Both EPF andKhazanah Nasional Bhd has indirect stake in IWH held via Iskandar Investments Bhd. IWH’s over 1619ha forms part of Iskandar Malaysia’s 221,707ha and Iskandar is being built into a metropolis of the south. With the developments taking shape in Iskandar from theme parks to an edu-city and a water front city, investors are trickling in. Singapore has shown its willingness to participate in the development but there is a need to really change the CBD into a more vibrant city to attract more investors from across the causeway and other countries. The other developer of plots of land in Iskandar Malaysia is Khazanah. Rejuvenating JB heritage: Cascading Retail @ Bukit Timbalan. “Fifteen years ago no one wanted to lend me a dollar and people used to a laugh at me when I showed the concept of creating JB into a waterfront city like Hong Kong-Shenzhen. They thought I was crazy. But now, they are same ones telling me that JB is going to be another Hong Kong-Shenzhen and I am not even talking,” he tells StarBizWeek in an interview. This week he sealed his biggest deal yet. He sold 55 acres to one of China’s biggest property developers, Country Garden Holdings Ltd, for nearly RM1bil and he says a lot more deals are in the pipeline including selling of an island made of reclaimed to an influential Singapore company. And all of IWH’s land is sold on a joint venture basis except the 55 acres to Country Garden. Abandoned and half closed shops are a common sight at the CBD and it has become an eyesore. Some are also infested by the squatters. Some owners of the buildings and shops have migrated and to track them down has been a big challenge for Lim. He managed to trace and has bought some 50 plots in various locations, the latest being a plot of 133ha at Jalan Wong Ah Fook from an old man who had migrated and was the seventh generation owner. This is part of the makeover process and is necessary if JB is to be turned into a waterfront city. “You cannot be attracting investors to JB and still have squatters in the city. We need a vibrant city that has all the ingredients of a modern and world class city to be able to attract the investors,” he says, adding that when he buys over a plot that has squatters, he has to compensate and relocate them. “We want to beautify the city, clean up the sea bed and sewerage, improve the landscape and traffic flow. There will also be a city tram and this new CDB will be themed as a heritage city,” he says. The makeover of the city is the state government’s project and IWH has mandated to see it through. The city will be divided up into sections where there will be food and beverage areas, China town, Little India, a Malay street, and night-life attractions. “We are doing all this for the people in the state and that will create economic activity and at the same time we want to attract some of the Johoreans who have migrated to return and participate in the economic activity in their state. “We will also put up a city college, a medical related college, service apartments, budget hotels, convert old heritage buildings into boutique hotels and also do up the streets. Jalan Wong Ah Fook will be turned into a pedestrian street and phase one which includes the redevelopment of Jalan Wong Ah Fook should be ready by mid- or end-2014,” he says. Work on beautification will begin in the first quarter of 2013 and the Johor state government will dish out tenders for the beautification of the CBD. It will also get involved in the cleaning and reclaiming of Sungai Segget, right now has the indignation of being labelled one of the smelliest rivers. To develop the area into a CBD, he says options will be given to the existing land and shop owners to follow designs that have been approved and keep their shops open. “We can work out joint ventures with them or they can sell it to us or develop themselves. Our approach is very friendly. What we want is to create economic activity and attract tourists and Malaysians into JB,” he adds. For the beautification of the CBD the state government will invest RM200mil and an additional RM200mil will be invested by the Federal Government for the cleaning of Sungai Segget and putting up a new sewerage treatment plant. The next thing on his plate after developing certain plots of land in Danga Bay is the Tebrau Coast. Danga Bay will be developed into a premier waterfront destination with features such as a cruise ship terminal, marina, fisherman’s wharf and tower blocks to house commercial offices, hotels, exhibition and convention centres, and residential properties. “We were asked to do a master plan for the eastern corridor and now we have obtained the approvals. It is only right to now tackle the east side after we have developed some parts of the west side (Danga Bay) and are also going to begin works on the CBD,” he says. Tebrau Coast will replicate the Gold Coast model where there will be high rise buildings comprising apartments, hotels, commercial buildings and also retail outlets. “We will be working with the Australian Walker Group on this over a 81ha site. The lifestyle product in Gold Coast is selling like hot cakes and we want the same concept here. “We also have a joint venture with DiJaya Corp to develop the land over 81ha there,” he adds. All these developments will be built over 15 years. There are several rivers in the Tebrau Coast that will need to be cleaned and land reclaimed. They include Sungai Plentong, Sungai Lunchoo, Sungai Reko and Sungai Tebrau. Lim is known to have the expertise to reclaim land and as a result of that he has managed to grow the landbank of IWH to over 1619ha. But that acerage also includes the land that IWH has got after taking control of Tebrau Teguh Bhd. With him buying more plots of land and with the reclamation work underway, it will be no surprise if IWH’s acerage increases to over 2023ha. “Half of our land in Danga Bay has been reclaimed. It used to be a swamp area and that is why the cost is high. We have reclaimed 324ha of land. We have a proven track record of reclaiming land and now we are going to do the same at the Tebrau coast. We are starting all over again,” he says. Of the 1619ha, half of it is at Danga Bay. The Tebrau coast comprise 405ha of which 162ha has been sold thus far. Some of the ongoing projects at the 1619ha owned by IWH include the RM500mil Azea Residences by a Singapore group, the RM105mil Plazzo Hotel & Serviced Suites by Waz Lian Group, RM20mil Tune Hotel project, Dijaya Corp Bhd is investing to build a high-end mixed development project that will have a gross development value (GDV) of about RM5bil. Burnsfield is building retail and commercial buildings that will have a GDV of about RM4bil. The Country Garden project will have a GDV of RM18bil. The deal with Country Garden took four months to conclude but some others are taking their time because some companies have longer evaluation and approval process than others. He is in talks with several parties, some of them are GLCs and that requires government approval. But what he is excited about is the sale of a man-made island in the east side to a Singapore party. There are other investors from Singapore who are interested in the fisherman’s wharf, which is one of the 10 projects in Danga Bay. “They (the influential Singapore party) are haggling for a lower price,” he says. But there are other Singapore parties looking at different parcels and even Country Gardens wants to buy more land in Danga Bay. “The Indonesians are looking to buy some land to create lifestyle projects,” he adds. While he wants a variety of investors, he is also vary that if they cannot sell their high rise commercial buildings, apartments or commercial units, it would create another glut and that is something he wants to avoid. Having learnt the experience of the 1997 crisis, he says land will only be sold in stages so that there are takers for whatever is being developed. “We have to ensure each developer has product differentiation so that demand for their products will always be there and this prevents a glut,” he says. When he started out, Lim bought land for RM1.50 psf to RM3 psf. Now the same land is being sold at RM300 psf to RM500 psf depending on location. He can’t say how much more the land will appreciate given the total development at Iskandar Malaysia, which comprise of over 221,707ha. “I can’t say how much more it will go up or what is the valuations are now because we have not valued the land but we have commissioned someone to do it recently,” he says. “What we are creating is an international waterfront city. The buildings will all be high rise as just to clean up the rivers and reclaim the land we have to buy sand from Pengerang and that costs us a lot of money, hence our land is expansive. “There is no way we can do landed property or terrace houses on such a land because the cost will be too expensive and nobody will buy a terrace or semi-D for RM10mil. That is why we are modelling our land on Hongkong-Shenzhen and this development will take years because waterfront cities are not built in a day. They can take decades for full realisation,” he says. Lim also wants to work with developers from different countries, say China, India, Europe, Australia, Indonesia and Singapore so that when there is a problem in their home country, not every developer is affected and the overall development can go on. In the past, we touched briefly on the plan of corporate play by IWH moving into Tebrau Teguh Bhd. Also ABITW’s ‘East-West’ development plan of Greater Johor Bahru. Now, Lim has put all that on the same page. Its part of his 4,000 acres grand plan, ready for IPO sometime next year. IWH has brought in the investors. The Garden City project alone is expected to have a GDV value of RM 18 billion. Johor Bahru’s growth is being planned and spurred with the Iskandar Malaysia grand development, a perfect demonstration of total economic development plan between the Federal Government, Johor State Government, Khazanah Holdings Bhd and public and private corporations, as part of the Government-Private partnership introduced as part of the Prime Minister Dato’ Sri Mohd. Najib Tun Razak’s Economic Transformation Plan (ETP). Prime Minister Najib is very pleased, supportive and bullish of these plans. JOHOR BARU: The real estate sector in Iskandar Malaysia received another boost yesterday when one of the top ten property developers in China pumped in RM900 million to build a prime waterfront integrated development project in the growth region. Prime Minister Datuk Seri Najib Razak described the entry by Country Garden Holdings Co Ltd as a vote of confidence in Iskandar Malaysia. He linked the interest by the Chinese developer to the transformation of the central business district (CBD) here into a heritage city. “Such a transformation will attract more local and foreign companies to venture into the property market in Iskandar Malaysia. “Country Garden is one of them. The company was listed as one of the 50 biggest companies in Asia by Forbes last year. Najib was speaking before the signing ceremony of sales and purchase agreement for land in Danga Bay between Country Garden Properties (M) Sdn Bhd and Iskandar Waterfront Holdings Sdn Bhd (IWH). Country Garden was represented by its founder Yeung Kwok Keung, and IWH by its chairman Datuk Dr Shahir Nasir. Present were China’s Ambassador to Malaysia Datuk Chai Xi and IWH executive vice-chairman Tan Sri Lim Kang Hoo. Najib said the project was the latest that showed Iskandar Malaysia was taking off in a big way to attract major foreign property players. “Following positive international media coverage of its green city ambitions, this exciting development is further proof that Iskandar Malaysia is now recognised as one of Malaysia’s key growth engines. “Since its launch in 2008, we have seen companies of all sizes invest in residential, commercial and industrial developments, and oil, gas and manufacturing sectors. “The pace of development has not let up. This year, Iskandar Malaysia is poised to breach the RM100 billion investment target, attracting RM99.79 billion in investments up to the third quarter, which represents a significant contribution to the Malaysia’s economic vitality and growth,” he said. In a press conference later, Chai said the entry by Country Garden would be an impetus for other Chinese developers to invest in Iskandar Malaysia. He said the good infrastructure and potential in the growth region were attractive enough for Chinese investors. Lim brought much welcomed investment into Iskandar Waterfront project. It would be the catalyst of other FDIs targeted to achieve Iskandar Malaysia’s strategic plan economic and physical growth. JOHOR BAHARU — The Danga Waterfront Development project receives a massive shot in the arm from the government when the Cabinet agrees to provide it with a RM200 million facilitation fund. Prime Minister Datuk Seri Najib Tun Razak said the decision to provide the fund underscored the federal government’s commitment towards the project. “The Iskandar Integrated Waterfront City of which Danga Bay is the jewel in the crown, is one of the most exciting areas of development in Malaysia and most certainly in Johor,” he said at Danga Bay’s 15th anniversary celebrations and launch of Yayasan Danga here attended by Sultan Ibrahim ibni Almarhum Sultan Iskandar. The prime minister said the project’s easy accessibility via air, sea and road and its unique position at the edge of the Peninsula bordering Singapore, were major plus points as a lifestyle destination and in attracting investors. The Danga Waterfront project, stretches 25km from the eastern to the western sides of the Johor Causeway, will see a complete makeover of Johor Baharu and the entire sea-fronting sites facing Singapore. The development, to be launched in phases over 25 years with a gross development value of RM80 billion, will be a public-private partnership involving the government and Iskandar Waterfront Holdings Sdn Bhd (IWH). Najib said this impressive effort at urban redevelopment was in line with the corridor development approach by the federal government to revitalise and reinvigorate old towns with a new lease of life. “In the case of the Iskandar Waterfront City development, I am pleased to note that exciting new features are being planned for the city, such as a cruise ship terminal, marina, fisherman’s wharf, as well as tower blocks to house financial and commercial offices,” he said. According to the prime minister, Danga Bay’s true potential was now on the verge of being realised with the unveiling of the Iskandar Waterfront City development blueprint. “The size and scope of this project is not only massive but also impressive. “When completed, it will help propel Johor Baharu to become amongst the most visionary and modern waterfront city not only in Malaysia, but in the region,” he said. IWH, the driver of this development, he said, would have the support of the federal and Johor state governments to spearhead initiatives to transform Johor Baharu into a world-class business, commercial and tourist destination. He said catalytic projects like the Danga Waterfront Development project would help shape Malaysia’s transformation into the new economy as envisaged by the government. The prime minister also announced that Datuk Lim Kang Hoo as IWH managing director had committed RM50 milion for Yayasan Danga to carry out its Corporate Social Responsibility (CSR) projects. Earlier, Johor Menteri Besar Datuk Abdul Ghani Othman said the government had also allocated a facilitation fund of RM200 million for the Sungai Segget clean-up project in Johor Baharu city. Present at the ceremony were the Johor Sultan’s consort Raja Zarith Sofia, Tunku Mahkota Tunku Ismail ibni Sultan Ibrahim, Tunku Temenggong Tunku Idris ibni Sultan Ibrahim and Najib’s wife Datin Seri Rosmah Mansor. Iskandar Malaysia coupled with the RM 60 billion Petronas RAPID new petrochemical hub in Penggerang, Johor is the beneficiary of 49% of Prime Minister Najib’s ETP. The end game all of these will be realised with the synergy of the high value Singaporean economy. Needless to day, Greater Johor Bahru is bullish on its transformation plan and process. Businesses will be generated, physical development spurred, value created, jobs created and potential steeper growth in GDP. Local economy and demand for retail and services would naturally piggy-back on this rich-flavoured gravy train. Johor would have to make plans for larger migration from the rest of Malaysia. Of course, other a new international immigrant communities, particularly from across the Johor Causeway and now China. Too many, this makes a lot of sense as Johor Bahru is a more affordable city to live and during the Iskandar Development Region, free and seamless access to common border was planned. Johor Bahru would be the Dubaii of Souh East Asia. The physical landscape, measured in quantitative and qualitative aspects of Johor Bahru would change by the time Malaysia arrive to the Vision 2020 deadline. And as the leading corporate player in the biggest property play, Lim is the man to watch. Many Malaysians find it necessary to compare almost everything with or against the Lil’ Red Dot just off the coast of mainland continent Asia’s southern most tip. However, Singaporeans don’t necessary feel the same way about themselves compared to these Singaporean-wannabes. As if being least emotional nation in the world was not enough, Singapore has claimed yet another title – we are the most unhappy one as well. That’s according to international pollster Gallup, at least. Based on a poll of nearly 150,000 people worldwide conducted in 2011 – the same one that branded Singapore as emotionless – Gallup’s reading into the results put Singapore at the top of the list of countries where the fewest adults experienced positive emotions. Singaporeans were apparently less upbeat than the people in places like Iraq, Yemen, Afghanistan and Haiti. A survey of 150,000 respondents is a very large and substantiated sampling. And Singaporeans are counted in the analysis. If one spends time in the city-state and talking to the lower middle class, then one might get the feeling that they are ‘unhappy’. In fact, not to long ago one remembered another survey that many younger Singaporeans prefer to be ‘kwai-loh’ against their own ethnic background, if given the choice. We are not sure of the statistics, but it doesn’t look that Malaysians feels that they are ’emotionless and unhappy’. In fact, many Malaysians seem to openly demonstrate their happiness. For all the challenges that Malaysians have to endure, the nation is still full of values and traditions that many still feel close to their hearts and their sense of belonging is still intact. It is very much demonstrated whenever there is a major holiday, where families and friends travel all over the nation to be together. They also spend a lot of time sharing, in meals, teh-tarik, watering holes and most of al, four times a year the get together for open-houses. In this country, citizens stand up and volunteer. They don’t have to be forced to do anything against their will. Even defending or policing this nation. Malaysians from the youngest age of pre-school pledge themselves to the nation, where the alliance is to the King as the custodian of the Federal Constitution and the symbol of the monarch giving away their right to rule to the people, via Westminsteri-syled Constitutional Monarchy democracy. They uphold traditions wherever they are; in schools, states, civil service, military, police and of course, all heritage-enriched monarchies. Malaysian history is well recorded for the past 2,000 years old. The blessed land had always been the junction of travelers, where it became a natural melting pot. Different ethnic groups influence the other in their daily lives, very much demonstrated in their eating habits and how each other respect and accepted the different cultural and belief practices. In a nation of 67 ethnic groups and over 20 languages, Malaysians understand each other. Simply put without taking too finer points of the weightage to all the mitigating circumstances that makes the nation an enigma of complex variables, Malaysians are proud and happy to be Malaysians. They have a saying in Malay; “Hujan emas negeri orang, Hujan batu negeri sendiri, Lebih baik negeri sendiri“. Our message to those who keep on harping that ‘Singapore is this, Singapore is that’, please go ahead. Pack your baggage and leave. Find the greener pastures that you seek elsewhere. And if ever you come to the point of ’emotionless and unhappy’, please also stand up to be included in the statistics. Anyone remotely know anyone who ever got these tickets, ever? It is formal. An Australian Federal Court found Air Asia a carrier which intentionally deceived the passengers and does not disclose the full cost to be borne, which include taxes and other charges. MELBOURNE (Dec 18, 2012): AirAsia Bhd has been slapped with a hefty fine for not including taxes and other charges on its website. The budget airline was fined A$200,000 in the Melbourne Federal Court today for contravening the single pricing provision of the Australian Consumer Law, said the Australian Associated Press (AAP). The Australian Competition and Consumer Commission (ACCC) said the case followed a 10-month period during which the www.airasia.com website did not display some airfare prices inclusive of all taxes, duties, fees and other mandatory charges “in a prominent way and as a single figure”. The fine related to flights between Melbourne and Macau, London, Ho Chi Minh City, New Delhi, Hangzhou and Chengdu as well as from Perth to Taipei, Phuket, Osaka, London, Ho Chi Minh City and Hangzhou and from the Gold Coast to Ho Chi Minh City. Justice Tracey said unless the full price is prominently displayed the consumer may well be attracted to a transaction which he or she would not otherwise have found to be appealing and grudgingly pay the additional imposts rather than go to the trouble of withdrawing from the transaction and looking elsewhere. He said the company would also obtain an advantage over competitors who are compliant. He accepted a court undertaking from AirAsia restraining it from engaging in similar conduct for three years. “This ACCC action vindicates the importance of all inclusive pricing. That is their business model. Lure consumers with false attractions of very cheap fares, which is practically hardly available for consumers to enjoy. Even if the said ultra-discounted ticket is available (in the usual case would just be far for the really ultra-cheap tickets as advertised), consumers are made to buy the ticket and pay it forward and travel is difficult conditions. It is false and misleading advertising. A flight to one of the most demanded holiday destination in SE Asia, for the price lesser than a packet of 20s? Recently, it was related that a flight was turnaround and unable to complete the flight as one of the doors cannot be closed properly. A passenger, wanted to get the refund because of unable to get to her desired destination. She was refused because she did not take the travel insurance, as offered during the ticket purchase via the AirAsia website. Even the queue for submission of claims is said to be very long. In short, they are either liars and intentionally and knowingly operated which will eventually cheated some of the passengers, even for technicalities. The comfort and welfare of passengers is also the least on their priorities. Malaysia Airports revealed that during the development stage of KLIA2, AirAsia wanted the dedicated low cost carrier terminal not to have the aerobridge. One story related was about a retired army officer, fell down as he stepped off the aircraft and broke his leg. The hazard is due to the negligence of AirAsia employees. When the victim claimed from AirAsia, the company refused to entertain. However, it was proven via CCTV that AirAsia employees were clearly negligence in their duties. 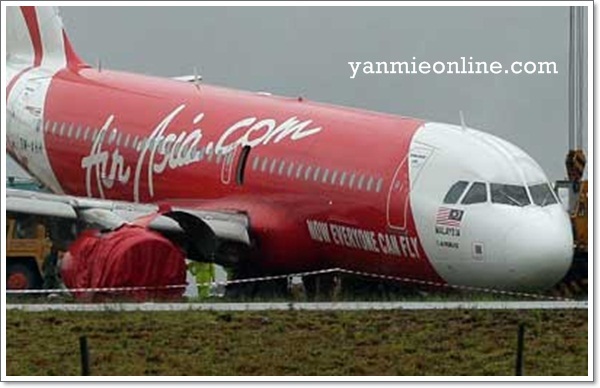 It was said that AirAsia is being taken to court for the damages suffered by this affected passenger. Eight weeks ago, we scooped on the story about Department of Civil Aviation (DCA) only renewed the Airline Operation Certificate for AirAsia for six months. Some of the issues stated in the stern letter from DCA include the Flight Operations manual has not been reviewed and Flight Operations is not being executed in accordance to the manual. These are real issues, which the safety of the Flight Operations is now seriously questionable. AirAsia has been very cunning in the ways and intentions. This time last year, they staged an ‘Airport Spring’ campaign and getting passengers to ‘revolt’ against Malaysia Airports. Indeed, they are a low class operator. Tony Fernandes and his management of creative and psychologically-charged marketingand style of short-selling have been ‘bullying’ consumers for too long now. Their rights have been infringed, violated and even scammed,with all sorts of fancy marketing schemes introduced by Fernandes, his management and AirAsia/Tune AIr Group for so long now. Their rapid and meteoric growth is actually attributable with the aggressive ‘fancy and creative’ marketing, which in reality is not attainable by the larger consumer s’market. Trending down EPS: AirAsia heading for trouble? Its time for all those who have been wronged by AirAsia to come forward and do a class action suit against the people of misleading advertising coupled with low or denied quality service. Consumers have rights. Malaysian business environment cannot progress with personalities like Fernandes. It is definitely anti-productive on Prime Minister Dato’ Sri Mohd. Najib Tun Razak’s economic transformation program (ETP) track of making Malaysia a ‘desirable’ business destination. Probably, instead of having his own reality tv show to boost his ‘creative and fancy’ marketing gimmick and strategy, Fernandes should be featured in National Geographic ‘Scam City’. Results are out. DAP delegates voted their Central Executive Committee members for 2012-5 term. Party longest serving elected representative, Emperor-for-life Lim Kit Siang took top spot and his son, who is Secretary General and autocratic Chief Minister of Penang took second place. Party Chairman Karpal Singh, another DAP living fossil, took third spot. GEORGE TOWN: It was a family affair as DAP adviser and Ipoh Timur MP Lim Kit Siang and his son, party secretary general and Penang ChiefMinister Lim Guan Eng, took the top two slots at the central executive committee (CEC) elections held here on Saturday. Kit Siang garnered the most votes from the delegates – 1,607 while Guan Eng received 1,576 votes. Party chairman Karpal Singh‘s strong stance on issues held him in good stead as he emerged with the third most votes – 1,411. In the elections in 2008, Karpal only received 471 votes placing him in ninth spot. The others selected into the 20-member CEC are Chong Chieng Jen, Anthony Loke Siew Fook, Vincent Wu Him Ven, Tan Kok Wai, Gobind Singh Deo, Tony Pua, Teng Chang Khim, Fong Kui Lun, Nga Kor Ming, Chong Eng, Chow Kon Yeow, Liew Chin Tong, M Kulasegaran, Boo Cheng Hau, Teresa Kok, Teo Nie Ching and Ngeh Koo Ham. These are the results of the those who were voted in today. The result is not in tandem on DAP Chairman Karpal’s call for new talents to be voted into the CEC. His call for one-candidate, one-seat also is not reflective in the result as seven double-seats YBs are voted in. There are several interesting facts about this result. An analysis of the Malays who had the false hope in their attempt to get themselves voted into DAP CEC. GEORGE TOWN: All eight Malay DAP leaders who contested for central executive committee (CEC) posts lost badly at 16th DAP Congress here. The results show that the party, dominated by the Chinese, does not make room for Malay candidates including Zairil Khir Johari who served as political secretary to DAP secretary-general Lim Guan Eng. Zairil only received 305 votes while his boss, Lim garnered 1,576 votes. A total of 1,823 delegates voted to choose 20 DAP leaders for the 2012-2015 term. The other Malay candidates who lost were Penang DAP committee member Zulkifli Mohd Noor (216 votes), Senator Ariffin SM Omar (748), Johor DAP vice-chairman Ahmad Ton (347 votes), Pahang DAP deputychairman Tengku Zulpuri Shah Raja Puji (121), Desa Manjung DAP branch chairman Solaiman Op Syed Ibrahim (98), Roseli Abdul Ghani (39) and Harun Ahmad (28). Zulkifli Mohd Noor, one of the DAP Malay candidates said he fought for 25 years for the Malays to be elected as CEC members but failed. DAP has time and again proven themselves to be a Chinese Chauvinist, power crazy, control freak and nepotistic party. On another note, Secretary General Lim Guan Eng in his opening speech boldly demanded that DAP be allocated extra three Parliamentary and ten DUN seats in the upcoming 13GE. DAP also reaffirmed their stance if Pakatan Rakyat were to win majority in the 13GE, Opposition Leader Anwar Ibrahim would get their support as the Prime Minister. GEORGE TOWN: DAP secretary-general Lim Guan Eng (pic) said the party is seeking three more parliamentary and 10 extra state seats in Penisular Malaysia for the next general election. Lim said Pakatan Rakyat partners PKR and PAS should agree to this if they recognised DAP’s loyalty to the Opposition coalition. “We take pride in our party’s growth and expansion throughout the years with full collaboration from our Pakatan partners,” he said in his policy speech during the 16th DAP National Congress here Saturday. Lim, who is also Penang Chief Minister, said Pakatan leaders in Sabah and Sarawak should handle the seat negotiations on their own. DAP is holding its elections at this congress and results for the 20 central executive committee positions are expected to be announced around 6pm. The two-day congress is being attended by about 2,500 delegates, who began voting around noon. If DAP are convinced of the growing support from the rakyat and insist that they get the extra seats in the 13GE, then these seats will surely come from those previous contested by PKR. This is because PKR seats are usually the ‘more-balanced’ or lesser Malay seats. These seats would also be good token for soon-to-be appointed Malay members of CEC, in their effort to demonstrate their fake multi-racial party claim. One of the probable reason of the extra seats is that DAP would not sacrifice existing seats for new Malay candidates. This sacrifice is not the end. PKR would insist that as the leading-party of the Pakatan Rakyat coalition, they would have to contest in substantial number of seats and handsomely win. Moreover, their Ketua Umum is the Pakatan Rakyat choice for Premier if the ever wrest the majority control of Dewan Rakyat. Hence, PAS would have to make the necessary sacrifice to PKR for Pakatan Rakyat’s sake. The Malay majority seats traditionally won by PAS in states like Kelantan dan Kedah would be the obvious sacrificial lamb. Needless to say, the absence of Anwar Ibrahim from recent PAS Muktamar’s and today is the evidence of something unhealthy brewing between the three unholy-backstabbing-estranged-bedfellows-in-a-marriage-of-(in)convenience. Top of the list would be sticky policies like Hudud and allocation of seats. Never the less, Drama-Acting-Prentending will continue. All their battle cry about ‘UBAH’ is just pure lie. DAP can’t even change leaders!